A superb impression of the definitive state from the album edition of 250 (there were 20 additional impressions reserved for the artist and his collaborators designated hors commerce, and a deluxe signed and numbered edition of 24). 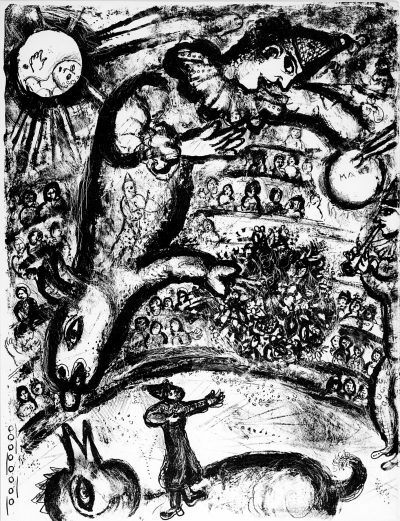 One of 38 original lithographs (23 in color) illustrating the album Cirque. Published by Efstratios Tériade, Editions Verve, Paris; printed by Atelier Fernand Mourlot, Paris.